Looks like Nimis hasn’t added any topics to their profile yet. Would you rather have talent or passion? If you could only use one magic button, which would it be? Why do some cemeteries have a separate area for children and infants? Login to send a message to Nimis. 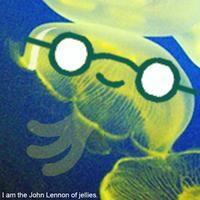 I’ve come back after two years and have been happy to see many jellies I used to know. But I notice you’re not among them. I hope you’ll stop by sometime while I’m still around. Congratulations, darlin’! Your absences have slowed your progress, but you are a veteran who was here when I got here, and you’ve been a high scorer with me all along. Love your party hat.